Your feet are full of acupressure and reflexology points. 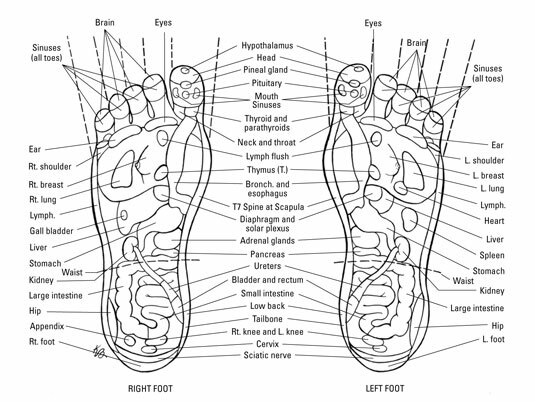 The following illustration shows each foot and its reflexology sites. Note that the feet are not mirror images of each other when it comes to reflexology, although they share many characteristics.